Giving churches an automatic tax break could be viewed as the state supporting religion, which is inappropriate. A religious tax exemption makes the state an arbiter over which religions are legitimate enough to deserve a non taxable status. By giving only religions a tax exemption the government is subsidizing religion over atheism. A laic state should not favor religious organisations. run private businesses, this gives these businesses an unfair advantage over those businesses who do have to pay tax. At the very least, churches should be treated the same way as other non-profits in the sense that they should have to disclose their revenues and expenses. They currently do neither. The fact that religious organizations are given special tax status over secular nonprofits doing virtually the same thing undermines the separation of church and state. While secular charities are compelled to report their income and financial structure to the IRS using Form 990 (Return of Organization Exempt From Income Tax), churches are granted automatic exemption from federal income tax without having to file a tax return. Each tax payer has an obligation to support the society through taxes. Any deductions means that others must pay more to make up for the loss, resulting in all tax payers being forced to support the religious organisation in question. Economies should be self-regulating. Giving tax breaks works in a similar way to prolonged terminal care that artificially extends life but doesn't improve quality of life: by preventing natural life cycle and death, we're creating zombies who are taking space and resources from other organizations. Taxing churches creates a financial incentive for the government to promote church attendance. The assumption of the statement, that taxation is the neutral starting point and tax-exemption therefore shows bias, is false. The default state of humanity is to be free from tax. All taxes are deliberately created by given societies. Thus to be free from tax is the neutral starting point and it is adding a tax which would show bias. Taxation isn't a given starting point. There is a big difference between "giving" and "not taking". The burden of justified action falls on the one initiating the action. In this case, people want to use the government to take money from churches. When framed this way, this violates separation of church and state. The question would then be whether the government has authority to cross this boundary. 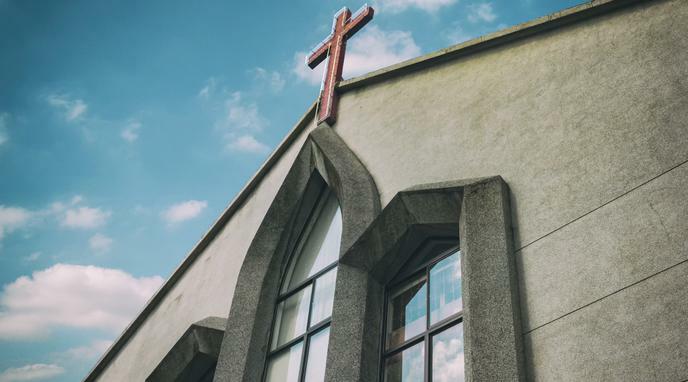 Most churches would qualify as charitable institutions anyway even if they weren't granted a specific tax exemption as a religious organization. Corporate tax is paid by for-profit entities. If a church runs at a profit, it will pay corporate taxes. Churches are subject to the same rules as any other organization. Misinformation is often a reason people think religions should be taxed. Truly, religions already pay some taxes (employee income, sales and VAT, etc.). When we take into account what religions actually do give to the government, they are not as tax-exempt as people often seem to think. There is no constitutional protection for atheism. Asserting that tax exempt status for religious organizations equates to government sponsorship of a particular religion is simply false. Neither does it support the assertion that the Government is advocating belief in religion over atheism. More than a few atheistic not-profits also benefit from the same law.